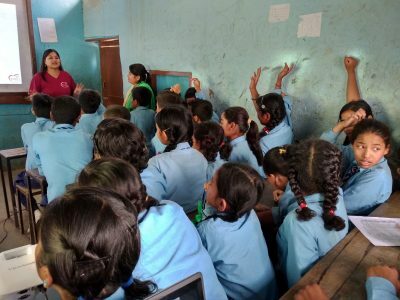 Sneha’s Care organized a School Awareness Program on Rabies (an often fatal disease here in Nepal) and its effective prevention at 15 different schools in Kathmandu in collaboration with Rangjung Yeshe Shenpen and Chance for Nepal (UK). 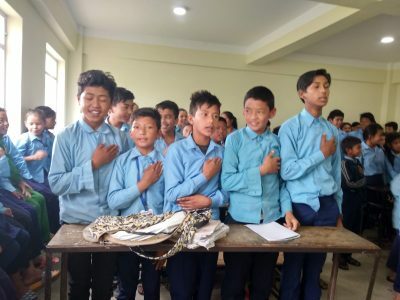 In total, twenty one sessions were conducted in the 15 different schools of Kathmandu valley, with around 900 students receiving this program’s information on rabies. 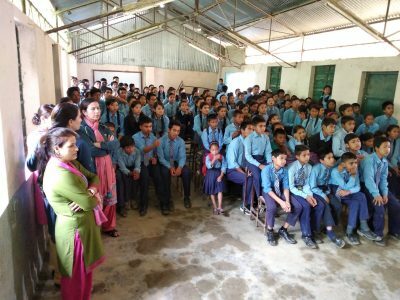 Sneha’s team reported that it was a wonderful experience interacting with the students and teachers, and sharing their knowledge about rabies. 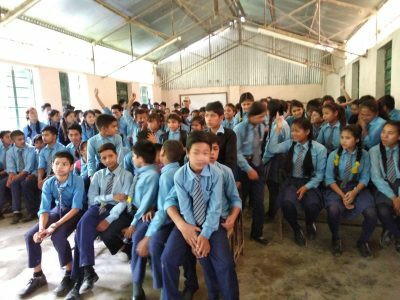 The team prepared a Power Point presentation with the aim to urge the students to be more compassionate and kind to animals, sharing stories that show how an animal can make a person’s life better, such as coping with depression, or how they bring so much joy and meaning into the lives of humans. They also talked about animal welfare; how to care for pets as well as the benefits of being vegetarian. They involved students in Classes 8, 9 and 10, along with their teachers. 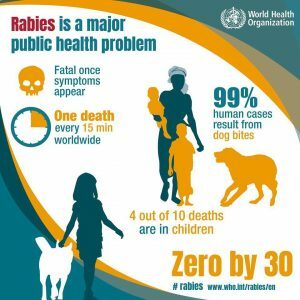 They found that all participants were very keen to learn about rabies. This was a new experience for Sneha’s team and for the students and teachers of the schools. Sneha’s team found that many of the students were already vegetarian, and many were so influenced by their presentation that they decided to become vegetarian. Some of them wanted to be vegetarian but were not so confident if they would get all the protein they needed. There were a few students who have had very bad experiences with dogs, so they didn’t want to speak about them. They found some students were animal lovers who like to feed stray dogs. According to these animal lovers, they feel so happy if a dog follows them when they are returning to their home after school. Most of them have zero information about animal welfare, or about the organizations working for the benefit of animals. The team felt they were able to influence students positively. All the schools were very supportive of their program.